This equity capital infusion is the country's largest-ever FDI. Days before the spectrum auction commences, British telecom major Vodafone Group has infused Rs 47,700 crore (Rs 477 billion) fresh equity capital in its Indian arm - the largest-ever foreign direct investment in rupee terms in the country. 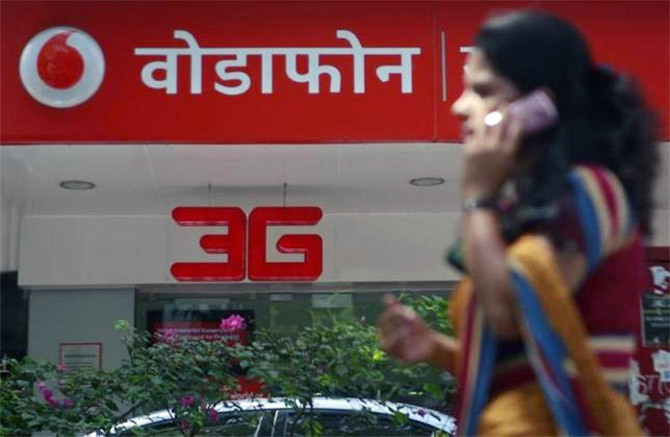 The money has been received already and Vodafone India, the country's second-largest telecom operator after Bharti Airtel, will use the funds to strengthen its spectrum portfolio, network roll-out and retire debt. Commenting on the capital infusion, Sunil Sood, chief executive officer of Vodafone India, said: "This reaffirms our commitment to India. With this, we will focus on right-sizing our spectrum portfolio and deployment of 4G and 5G technology." The company also announced on Thursday that its subscriber base had touched 200 million subscribers. Last November, Vodafone Group had invested Rs 13,000 crore in the Indian arm for network rollout. The government is putting 2,354.55 megahertz of spectrum at the auction table, giving an opportunity to operators such as Vodafone to strengthen their spectrum holdings. Vodafone is expected to be one of the strongest bidders during the spectrum auction and the company has deposited earnest money deposit (EMD) of Rs 2,740 crore (Rs 27.40 billion) towards spectrum auctions. Idea Cellular's EMD amount is Rs 2,000 crore (Rs 20 billion) and Bharti Airtel's is Rs 1,980 crore (Rs 19.80 billion). Vodafone's spectrum portfolio will need to be fortified significantly, if the company is serious about its India ambitions, as it lacks broadband spectrum in many of its circles. Currently, Vodafone has spectrum to offer 2G voice in all the 22 circles, but has 3G spectrum in 15 circles and 4G in nine circles. Bharti has 2G, 3G and 4G spectrum in all 22 circles, except Kerala, where it needs 3G spectrum. Vodafone closely competes with Bharti Airtel and is perceived as a premium brand; it has a revenue market share of 22.5 per cent. Sood said: "With our commitment to support the Digital India vision, we are building one of the most modern and scalable telecom networks to deliver connectivity." Vodafone India's revenues grew by a modest five per cent in FY16 to Rs 44,303 crore (Rs 443.03 billion), thanks to the impact of lower interconnect and roaming charges. The standalone debt of the telco for 2015-16 stood at Rs 81,500 crore.